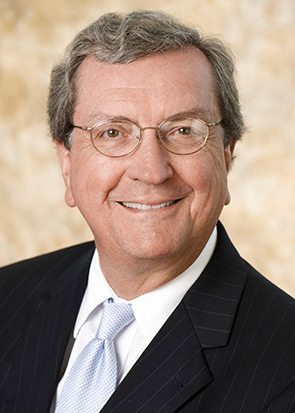 William "Lee" Thuston is the Chairman of Burr & Forman overseeing the firm's Executive Committee as well as strategic initiatives, business development, and client service programs. Prior to becoming Chairman, Lee had served as Firm Managing Partner since 2005. Lee practices in the Corporate/Tax practice group where he focuses on economic development, business and succession planning, trusts and estates, tax law, and international law. Lee is a driving force behind Alabama’s economic development and has played a large role in some of the state’s major manufacturing deals. Lee has a wide variety of involvement in the manufacturing industry which includes serving as Alabama Counsel during the site selection and negotiation processes for Mercedes-Benz U.S. International, Inc.; Mi-Tech Steel, Inc.; and IPSCO Steel when these companies chose to locate their facilities in Alabama. His experience in the automotive industry also includes assisting Honda Manufacturing of Alabama with the implementation of its incentives package with the state for the development of its plant in Lincoln, AL, as well as assisting Hyundai Motor Manufacturing Alabama, LLC with the implementation of its incentive package with the state for the development of its plant in Montgomery, AL. He represented Honda in the establishment of its transmission manufacturing facility in Tallapoosa, GA in 2004. Lee also negotiated the incentives packages with the state for the 2009 expansion of the Mercedes-Benz plant. Additionally, Lee represented Kia Motors Corporation with the site selection and implementation of its incentive package for the development of its plant in West Point, GA, as well as the ThyssenKrupp steel mills located in Mobile County, AL, and the Jack Daniel Cooperage Project located in Lawrence County, AL. Lee was instrumental in boosting the state’s profile in the aerospace industry by working with public and private entities to create a desirable environment – legally, tax-wise, economic and socially – to attract Airbus to build a manufacturing facility in Mobile, AL. In addition to working directly with state government and the departments of commerce, local government, and developers, Lee is actively involved with organizations like the Birmingham Business Alliance – the organization that created Blueprint Birmingham, and the Alabama Automotive Manufacturer’s Association.